I was sure he would change his mind, but he was still talking about it over the summer so after the 4th of July I picked up some clearance paper goods (plates, cups, star-shaped trays and a flag tablecloth) as well as some small flags. 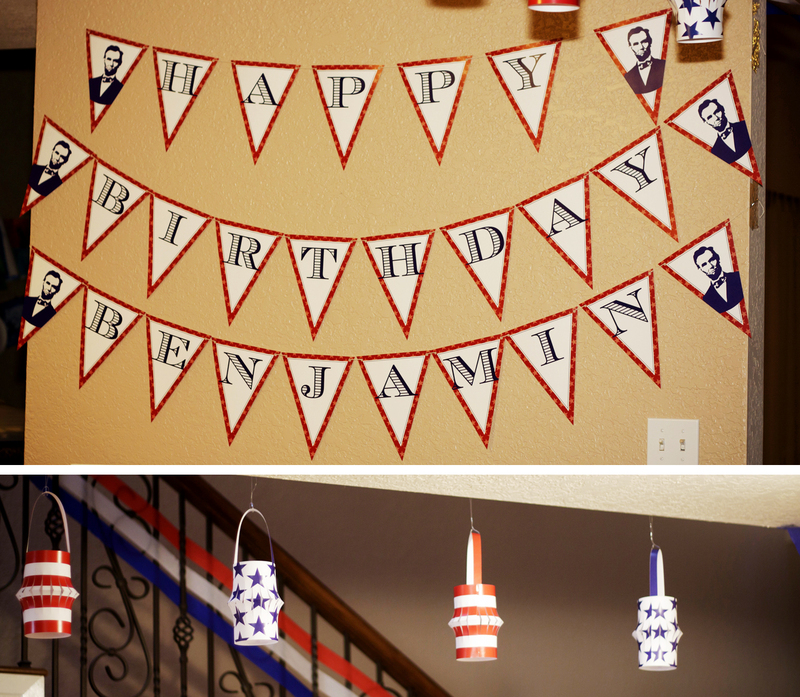 I had no idea what a president party would involve, but thankfully I’m related to a bunch of super creative people! 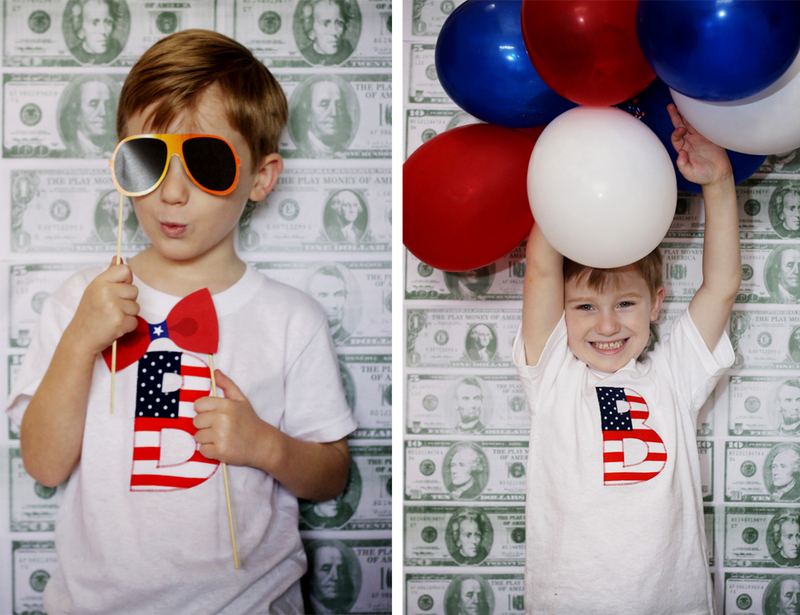 The wonderful Abigail of paper & CAKE sent over her 4th of July party collections, and I used some things from each of them. I picked up some streamers and play money at the party store and added balloons and some president photos I printed, and that was all I needed to decorate! 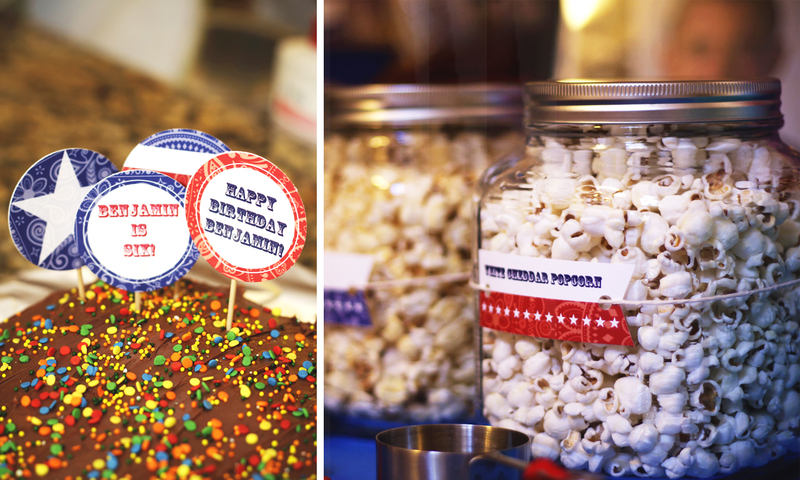 Food: We ate grilled cheese sandwiches, apple slices, carrots, pretzel sticks, and everyone’s favorite (and the only thing my son asked for): a popcorn bar. It’s messy, but a hit! And of course, there was cake!! I made chocolate cupcakes with vanilla frosting and red & blue sprinkles and a yellow cake with chocolate frosting. Fun: My wonderful mother-in-law painted an Abraham Lincoln to use for photos and a ball-toss game. 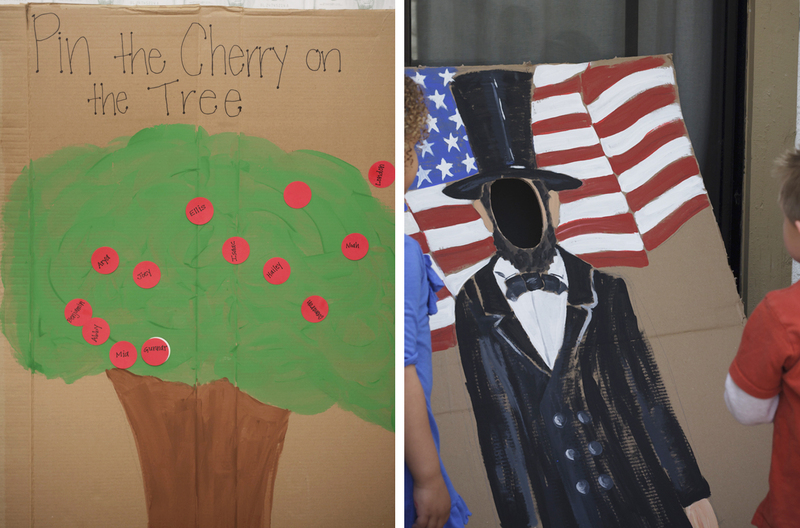 We also played “Pin the Cherry on the Tree” (I painted a tree on some cardboard, cut out a white circle for the “target” and cut red circles for each child). For a craft, I bought some $1 unfinished frames at Michael’s and some plastic coins, felt star stickers, and beads to decorate them. 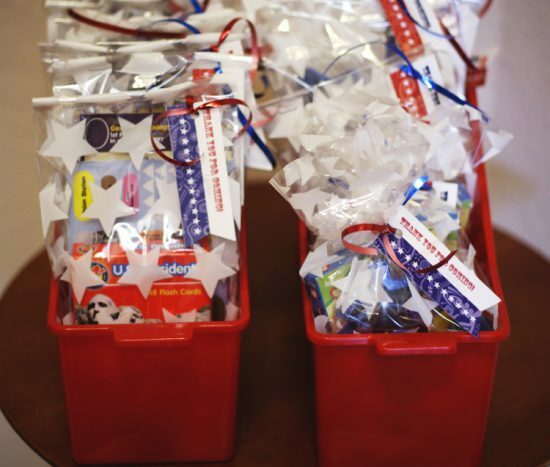 Party favors: I found these cute star cello bags on clearance! For the big kids: President flash cards from the $1 section at target, and Washington, DC sticker sets and president pencils from Oriental Trading Company. For the littler kids: A patriotic rubber duck and star sunglasses, also from Oriental Trading Co. I added some ribbon and a paper & CAKE tag, and that was it! The birthday boy in his super cute “B” shirt! 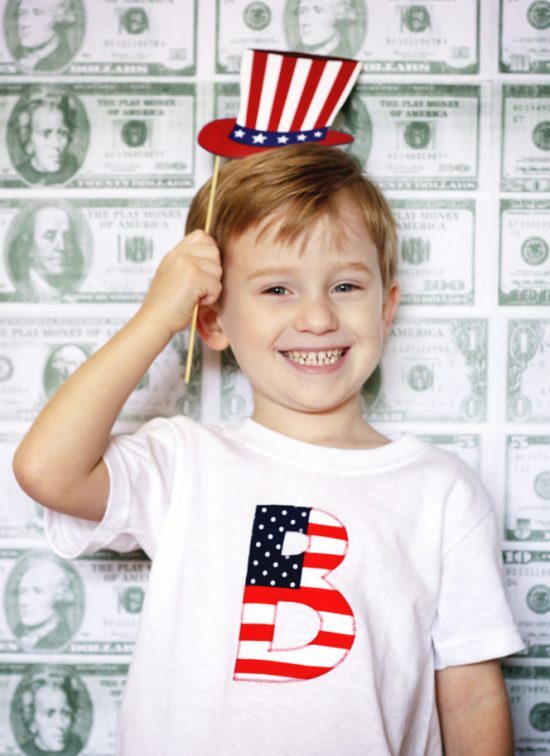 Thank you to Chrissy at sewlux – he would like to wear his new shirt every day!